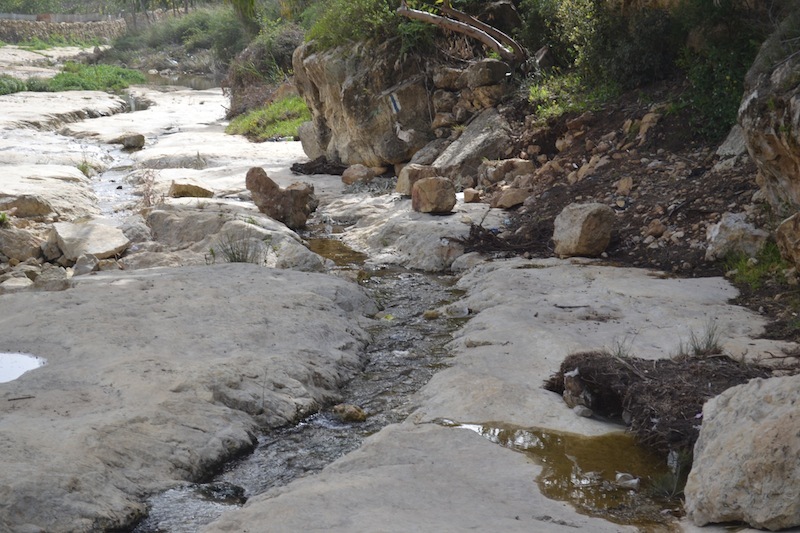 Ein Zarqa is a natural spring that lies at the one end of the Nabi Ghaith trail and the Natuf Valley. The spring water is fresh and drinkable and often tested by the Palestinian water authorities. The site is surrounded by large trees that provide a shaded refuge after a 2-3 hour walk from Maqam Nabi Gaith. The area around the spring is suitable for a picnic or a pre-arranged lunch by one of the families from the neighboring villages.